Refined craftsmanship , Honesty, Innovation and Development ! It has high technology, compact structure, original design and stable performance. It is highly automatic, convenient (operation), low energy consumption and less space occupation, invest on this line is only 10% of cost on large processing line, all these features assures this line is very suitable to self-owned enterprises. Our main concern is to satisfy the needs of our customers at all times. This policy has made our company strive for innovation, quality and efficiency. An international vision and more than twenty years' experience ensure we have enough abilities to add more value to customers. 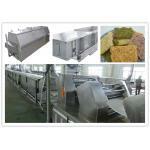 We MAKE Fried & non-fried instant noodle production lines;Stick & fresh noodle production lines ect. The whole line is managed by advanced controlling theory with high-performance PLC and speed driver.Stable performance and high level of automation. High-precision digital processing ensures the mechanical performance attains the best within the scope of design. 1. Lifting noodles automatically, less labor. 2. 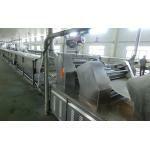 Perfect function of speed cutting help saving the energy cost. 3. Chain delivery brings you repairment more easily. 4. 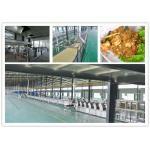 Stainless steel sheet roller and sheeting, clean and healthy. 5. High efficiency and safety. 6. Suitable for middle pattern customers for noodle making. 7. 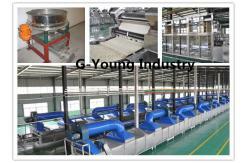 The roller can be changed, it can produce varies of noodles as your request. Please read the introductions and specifications of the machine before operation. Please don’t leave the machine in its working time, and keep children away from the machine. It’s forbidden to clean the main engine of the machine with water before or after operating, and avoid the water on the machine thus to prevent leakage of the electricity; IF you will clean the machine, please switch off the power firstly and clear it with dry cloth except for the main engine. If you won’t use it for a long time, please put the machine in dry and ventilate place in case it is affected with damp and mouldy.